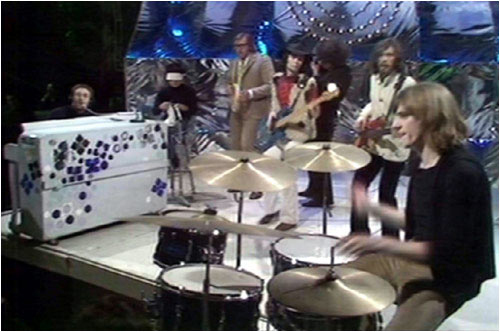 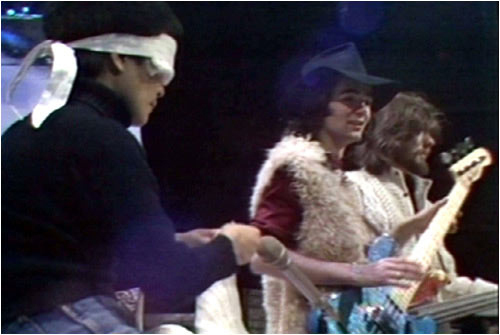 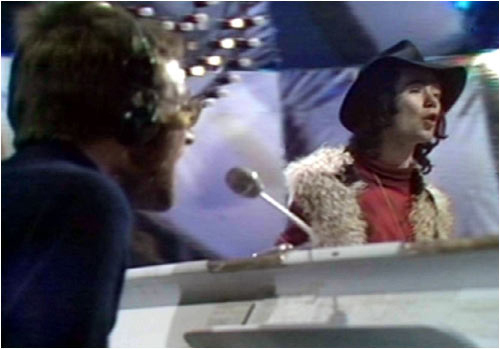 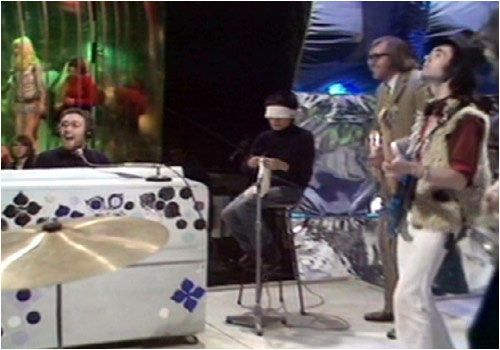 John Lennon & The Plastic Ono Band and the classic performance of ‘Instant Karma’ on BBC TV’s Top Of The Pops Feb 12th 1970. 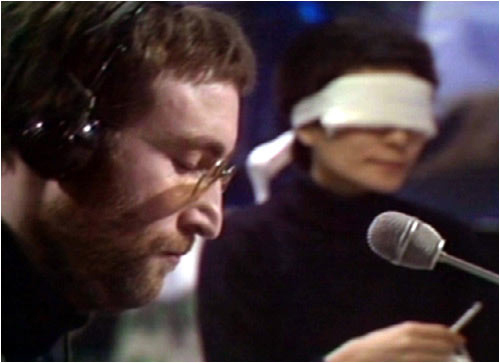 Left to right ~ John Lennon [vocals & piano], Yoko Ono [knitting & Kotex eyewear], the Beatles’ road manager Mal Evans [tambourine], BP Fallon [bass guitar & hat], the Apple Records official House Hippy Richard DiLello [camera], Klaus Voorman [bass guitar] and Alan White [drums]. 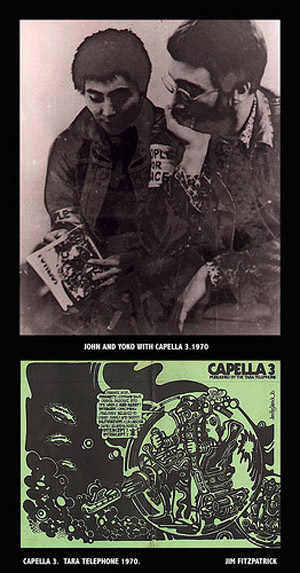 ‘Capella’ publication, the very edition ~ ‘Capella 3’ ~ that contained the drawing that John Lennon had done for ‘Capella’ the previous year at his and Yoko’s 1969 Amsterdam Bed-In.